Take back your independence with help from your home health care specialists! When your loved one needs help at home, we understand how important it is to remain at home to maintain dignity and independence. 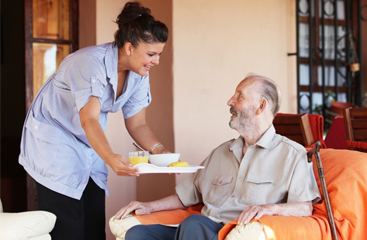 At Charmed Life Homecare, it is our primary goal to refer exceptional home health aides and certified nursing assistants who can help with everyday activities that may become difficult to do alone. Let us help you enhance the quality of life for your loved one and allow you to experience the exceptional home health care that you deserve! Charmed Life Homecare is a licensed nurse registry serving Palm Beach, Broward, St. Lucie, Martin, Indian River and Okeechobee counties with over 20 years of experience. We take great pride in referring caregivers that specialize in providing exceptional senior care. We meticulously screen all caregivers to ensure that you receive superior service and we guarantee your satisfaction. We strive to be your first choice for all of your non-medical home care needs. Please call us today for your free assessment! Do you or someone you love need help with activities of daily living such as bathing, dressing, toileting, meal preparation and transportation? Charmed Life Homecare specializes in referring exceptional caregivers who can assist with everyday personal activities and help your loved one enhance their quality of life at home. Our rates and services are very flexible and we can work within your budget. We also accept most major long term care insurance plans. Click the link below to learn more about our services. Not sure how to get started? We understand. Deciding that you or someone you love needs help at home is never an easy decision. Don't worry, our staff is here to guide you. Give us a call at 561-498-2006 and we'll be happy to answer all of your questions. When you are ready, we will schedule a free in home assessment to meet with you and your family. 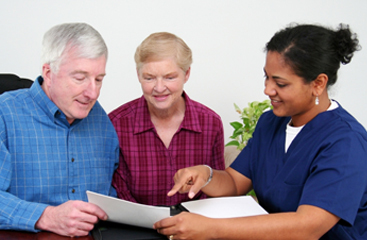 Home care needs are never one size fits all, and we can work within your schedule and budget. Whether you need a caregiver for only a few hours a week all the way up to round the clock care, we will tailor your unique plan of care and carefully match a trustworthy, reliable caregiver to ensure your satisfaction. Charmed Life Homecare is a licensed nurse registry that refers exceptional caregivers who provide home health care to clients in Palm Beach and Broward counties in need of assistance with daily personal care and everyday activities. We offer flexible, affordable senior care with no contracts. We accept most long term care insurance plans and are available to you 24/7 whenever you may need us. If you or your family member can benefit from non-medical home care, we can refer a qualified, compassionate caregiver who can help with activities of daily living such as bathing, dressing, meal preparation, and more. See our list of available services in the Our Services section for further details.